I’m really excited to share the first way to use our new apple-themed math printables pack. There are nearly endless ways to get value from this apple math printable. 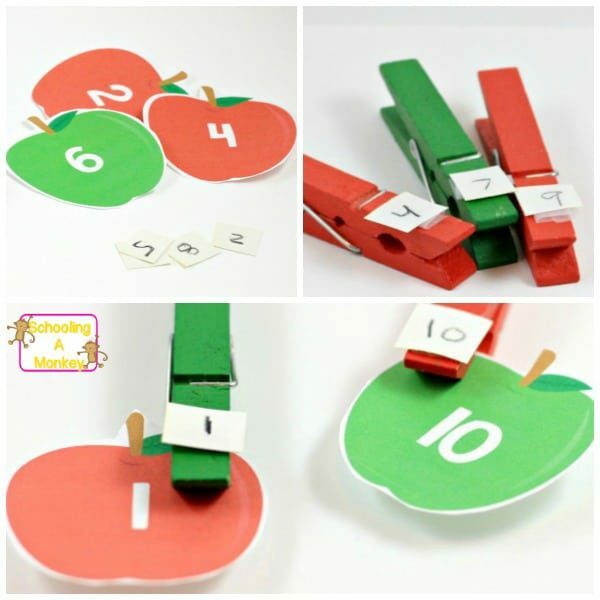 Today’s activity shows how to use the printable pack for the youngest kids with kindergarten math activities. 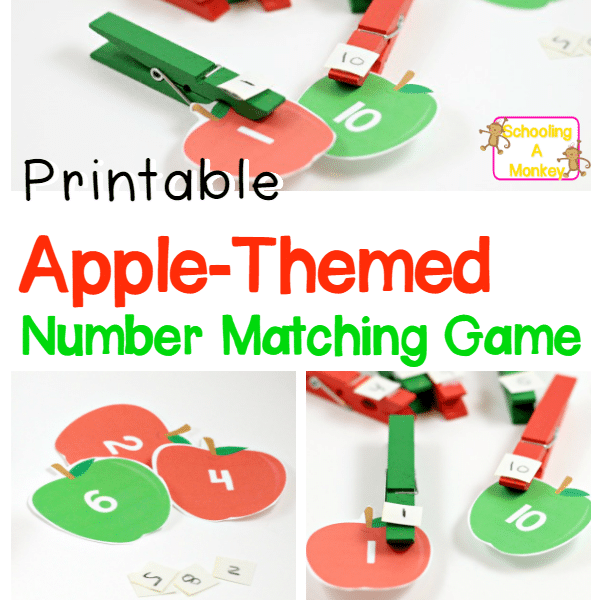 Use these printable cards in your math centers or as part of a complete apple thematic unit! Follow the instructions to make your own version of the game! Math has never been quite so… appleish. 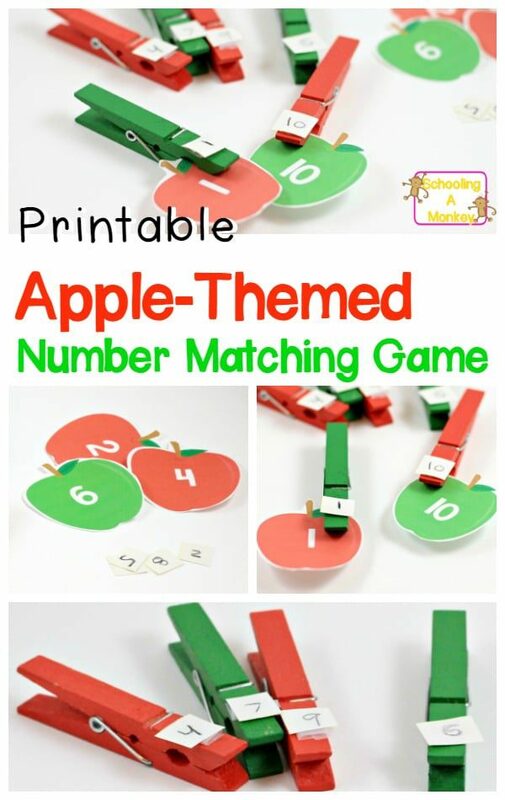 Print the apple sheets for the numbers you will be using onto cardstock paper. I typically use 0-20 for Kindergarten. Cut out the apple pieces and laminate them (this is optional, but highly recommended). Cut your scrap paper into squares small enough to fit on the clothespins. 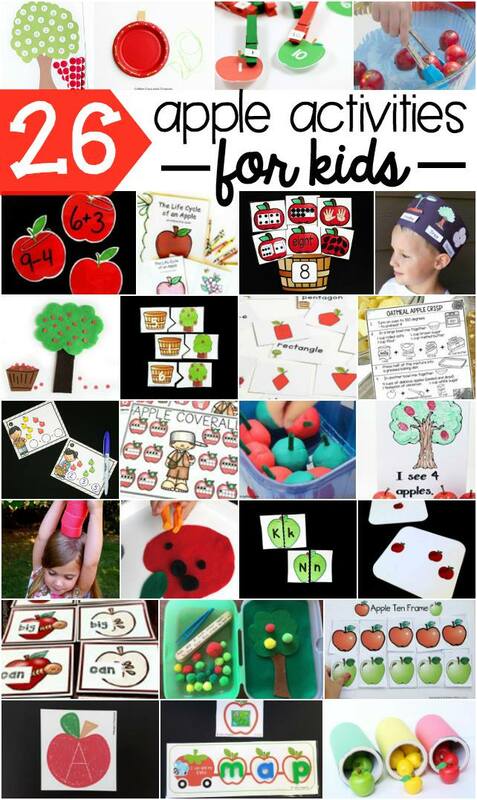 Write a number onto each of the squares so you have the same numbers on the paper as on the apples. Tape the scraps of paper to the clothespins, one number per pin. Give the apples and clothespins to the child. Have the child put the appropriate clothespin onto the appropriate apple. Bo had a lot of fun matching the clothespins to the apples. She also liked opening and closing the clothespins. Clothespins are a great way to develop pre-writing skills! Print the higher numbers, or the full set. On each piece of paper, rather than writing a number, write a math problem (like 7×2). 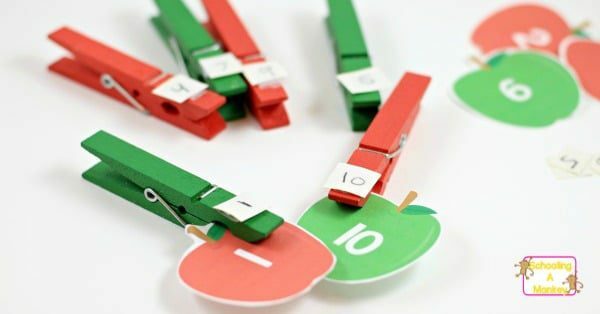 The child will then clip the clothespin problem to the apple showing the correct answer. Add the number of clothespins around the apple equal to the number written on the apple. See the full list of apple activities for kids here!